The following list is a starting point. Please consult a Career Strategist if you have any questions about your job search. 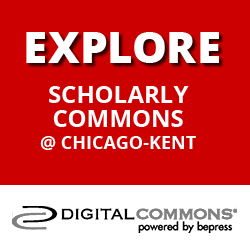 You can schedule a meeting by stopping by our office in suite 360, calling (312) 906-5200, or emailing kentcso@kentlaw.iit.edu. Chicago's GLBT yellow pages. Look under "L" (Legal) for a list of Attorneys & Legal agencies that work with the GLBT community and to identify firms and agencies where you might be interested in seeking employment. The Chicago Area Gay & Lesbian Chamber of Commerce provides businesses, consumers and travelers with information about gay & lesbian events, benefits, guides, shopping news and other information. Of particular interest are links to the following: Membership Directory; US & International Gay/Lesbian Business Groups; and Government/Corporate Resources. The Chicago Area Gay & Lesbian Chamber of Commerce is located at 3356 N. Halsted, 2nd Floor, Chicago, IL 60657. It may be contacted locally at (773) 871-4190, nationally at 1-888-glchamber, or via fax at (773) 871-6737. The Committee allows regular opportunities for lawyers interested in gay and lesbian legal issues to meet in a supportive, professional atmosphere to exchange ideas and information. The committee furthers the professional development of gay and lesbian attorneys through the sharing of information at monthly meetings and continuing legal education programs. The committee offers an environment where lawyers and student members of the CBA can discuss practical issues of "coming out" in law school or in the workplace. The committee also enables the Association to sponsor programs that would improve access to the legal and judicial system by members of the gay and lesbian community. The Committee currently meets on the 1st Tuesday of the month at the Chicago Bar Association. The CCHR is the City of Chicago agency which handles complaints of discrimination. CCHR is a neutral agency which receives complaints of discrimination in the areas of housing, employment, public accommodation, credit and bonding. CCHR investigates cases, conciliates them, and, where it has found substantial evidence (and no settlement agreement is reached), CCHR holds administrative hearings. The CCHR office is located at 740 North Sedgwick, 3rd Floor, Chicago, Illinois 60610. The CCHR may be contacted at (312) 744-4111 (voice), (312) 744-1088 (TTY) and (312) 744-1081 (FAX). Counseling services are located in the Counseling Center on the Illinois Institute of Technology Main Campus in Farr Hall, across 33rd St. from the residence hall. Hours are 9-5, Mondays through Fridays. Services are free of charge. Students can call (312) 808-7132 or stop by to set up an initial appointment. Usually appointments are available within a few days. Services are confidential and no information will be released without specific written permission except in certain situations of imminent danger, as required by state law. The purpose of a Safe Space program at Chicago-Kent is to provide a "Safe Space" where people who have questions about gender and sexuality, whether in their own lives, in the lives of family and friends, or in the wider culture can go to discuss those issues. 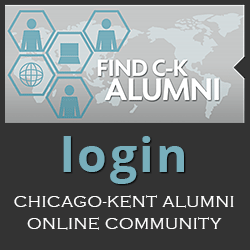 For information about the Chicago-Kent Safe Space program and to identify faculty or staff who have attended the safe space program, please visit the safe space web pages. A leading national education organization focused on ensuring safe schools for glbt students. This organization promotes the Safe Space program. A large civil rights organization working to achieve gay, lesbian, bisexual and transgender equality. By inspiring and engaging all Americans, HRC strives to end discrimination against GLBT citizens and realize a nation that achieves fundamental fairness and equality for all. They also have legal fellowships. A national organization committed to achieving full recognition of the civil rights of lesbians, gay men and people with HIV/AIDS, through impact litigation, education and public policy work. Lambda carries out its legal work principally through test cases selected for the likelihood of their success in establishing positive legal precedents that will affect lesbians, gay men, and people with HIV/AIDS. They also maintain a national network of volunteer Cooperating Attorneys, which widens the scope of their legal work and allows attorneys, legal workers, and law students to become involved in their program by working with their legal staff. The Midwest Regional Office is located at 11 East Adams, Suite 1008, Chicago, IL 60603-6303. They can be reached by phone (312) 663-4413 or fax (312) 663-4307. NALP provides leadership and expertise in legal career planning, recruitment and hiring, employment, and professional development. 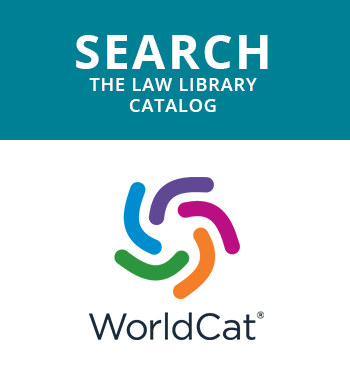 The "Resource Center " contains information related to Gay, Lesbian, Bisexual and Transgender attorneys. In addition, the NALP GLBT Committee produces the information brochure To Be Out or Not To Be Out, 2005. Available in the Career Services Office. NGLTF is the national progressive organization working for the civil rights of gay, lesbian, bisexual and transgender people, with the vision and commitment to building a powerful political movement. The site contains internship, fellowship, work study and job postings, publications and links to various sites. NLGLA is a national association of lawyers, judges and other legal professionals, law students and affiliated lesbian and gay legal organizations. NLGLA sponsors a national conference and job fair for LGBT attorneys & students, Lavender Law, as well as year-round regional and local events throughout the United States. NLGLA has rapidly become a national voice for lesbians, gay men, bisexuals, and transgenders in the legal profession. The Association exists to promote justice in and through the legal profession for the lesbian and gay community in all its diversity. National Organization for parents, friends and families of lesbians and gays. Web site provides an extensive selection of resources both for parents and for those exploring their sexual orientation. They also have local chapters in many communities.